MX Linear Greys are Cherry’s heaviest common linear switch. After their introduction in the 1980s, they were used in space bars (accompanying MX Blacks) and other multiple unit key applications. Keyboards rarely use MX Greys exclusively, but fully populated discrete number pads are more common. 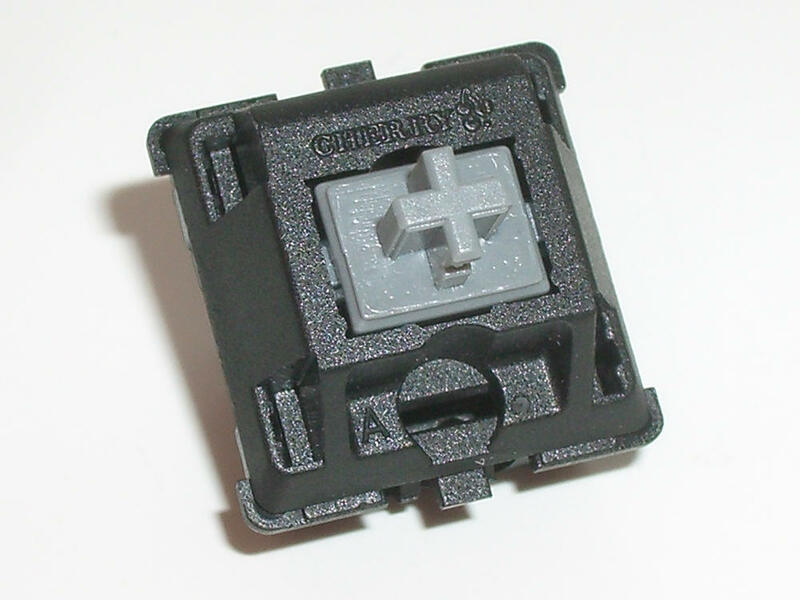 The switches perform much like a stiffer MX Black or MX Red. The heavier spring can cause additional slider friction, which is particularly evident during off center keypresses.